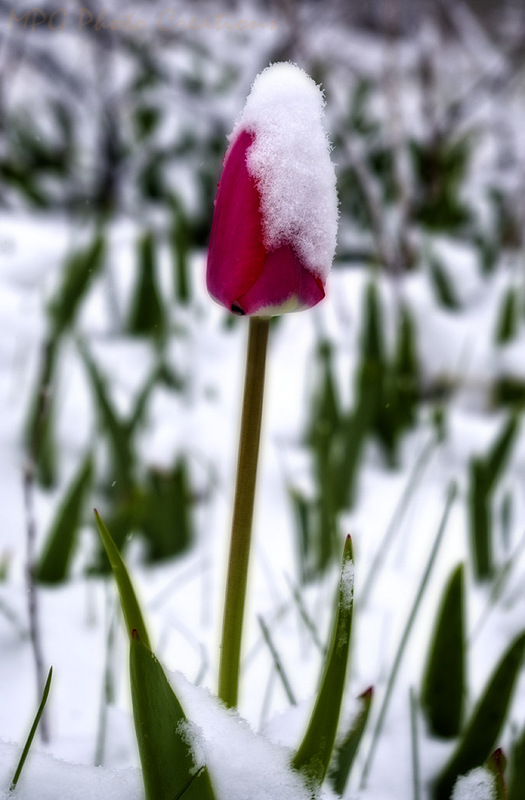 This is an older photo from late last April when we had a snow after the flowers had begun blooming. I had shared a yellow one like this before. This is a red one that I liked the texture of the snow appearance. As always, you can always view larger by clicking on the image.